An interesting crop from the top image. 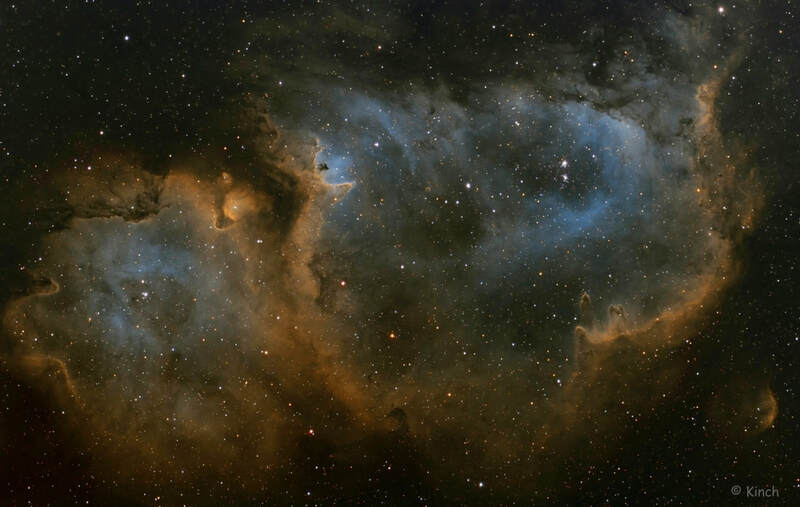 This complex is the eastern neighbour of IC1805 (Heart Nebula) and the two are often mentioned together as the "Heart and Soul". Located about 6,000 light-years from Earth, the Heart and Soul nebulae form a vast star-forming complex that makes up part of the Perseus spiral arm of our Milky Way galaxy. 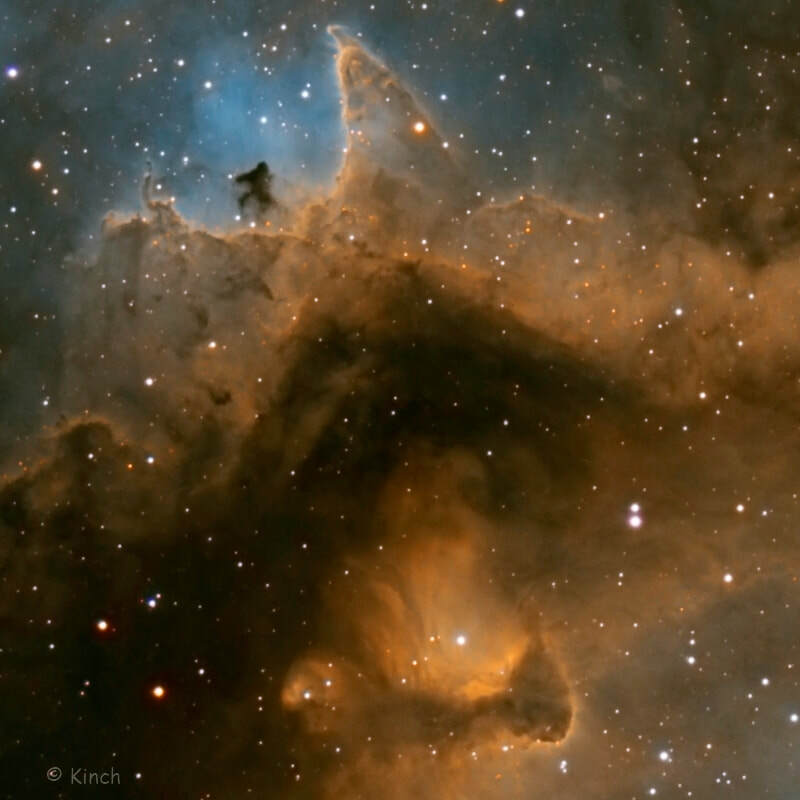 The Soul nebula is also known as the Embryo nebula, IC 1848 or W5. The Perseus arm lies further from the center of the Milky Way than the arm that contains our sun. The Heart and Soul nebulae stretch out nearly 580 light-years across, covering a small portion of the diameter of the Milky Way, which is roughly 100,000 light-years across.